Subscribe to the RSS feed to stay connected. A new initiative, backed by the foundations of Pierre Omidyar, Eric Schmidt, Craig Newmark and Mozilla aims to convince the nation’s computer science departments to spend more time teaching the ethics of the profession alongside the basics of coding. We will again host two Graduate Cohort Workshops in 2019. 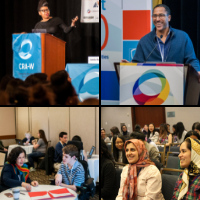 The CRA URMD Grad Cohort Workshop is designed specifically for underrepresented minorities in computing and persons with disabilities in graduate school in computing fields. The CRA-W Grad Cohort Workshop is designed for women students in their first, second, or third year of graduate school in computing fields. The workshops will include a mix of formal presentations, informal discussions and social events. By attending Grad Cohort, participants will be able to build mentoring relationships and develop peer networks that are intended to form the basis for ongoing activities during their graduate career and beyond. Both applications are open now and will close on November 15. Check out opportunities to get involved with CRA! The Sixth Heidelberg Laureate Forum will be held September 23-28, 2018. The application process begins November 6, 2017. 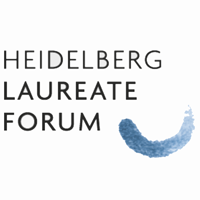 The Heidelberg Laureate Forum was created by the Klaus Tschira Foundation, the Heidelberg Institute of Theoretical Studies, ACM, the International Mathematical Union, and the Norwegian Academy of Science and Letters to provide an opportunity for young researchers to spend a week with winners of the ACM Turing Award, ACM Prize in Computing, Abel Prize, Nevanlinna Prize, and Fields Medal. IBM is pleased to announce the 2018 IBM Two-Year Worldwide PhD Fellowship for the academic years of 2018-2019 and 2019-2020. Strong collaboration with faculty, students and universities is vital to IBM. The PhD Fellowship Program advances this collaboration by recognizing and supporting exceptional PhD students who want to make their mark in promising and disruptive technologies. In 2018, the Fellowship Program is focusing on: AI, blockchain, security, and quantum computing. IBM is well positioned to advance these technologies and exploit their ability to transform industries and societies. 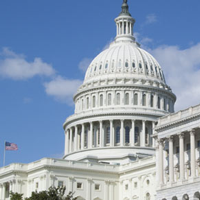 As part of its mission to develop a next generation of leaders in the computing research community, the Computing Research Association’s Computing Community Consortium (CCC) announces the fourth offering of the CCC Leadership in Science Policy Institute (LiSPI), intended to educate computing researchers on how science policy in the U.S. is formulated and how our government works. We seek nominations for participants. The Heidelberg Laureate Forum was created by the Klaus Tschira Foundation, the Heidelberg Institute of Theoretical Studies, ACM, the International Mathematical Union, and the Norwegian Academy of Science and Letters to provide an opportunity for young researchers to spend a week with winners of the ACM Turing Award, ACM Prize in Computing, Abel Prize, Nevanlinna Prize, and Fields Medal. To date four have been held and all have been viewed as a major success by the laureates and the 200 young researchers in computer science and mathematics who attended each forum. Details can be found at http://www.heidelberg-laureate-forum.org/. The inclusion of the ACM Prize in Computing is new this year and will further enrich the computing content of the Forum.